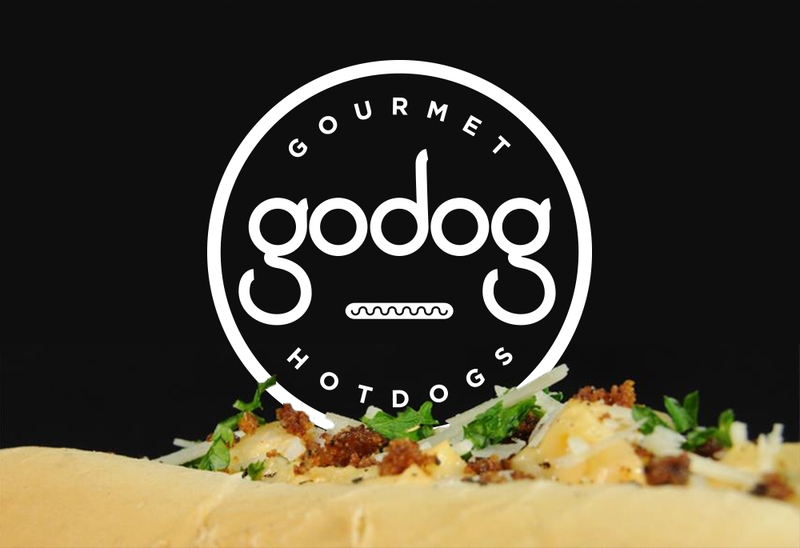 GoDog Gourmet Hotdogs was an entrepreneurial endeavor taken on by myself and good friend/collaborator Matthew Frierdich. 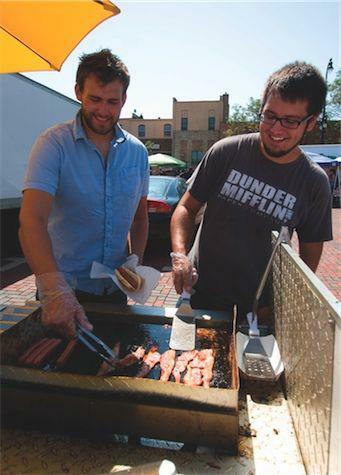 We turned our “Mobile Gourmet Kitchen” concept into a reality, differentiating ourselves by offering not only Chicago-style hot dogs but also grilled cheese and weekly “Specialty Dogs.” In addition to business administration duties, I was responsible for the creative direction of our brand. We needed to exude confidence, highlight our originality, and show off our modern culinary sensibilities. 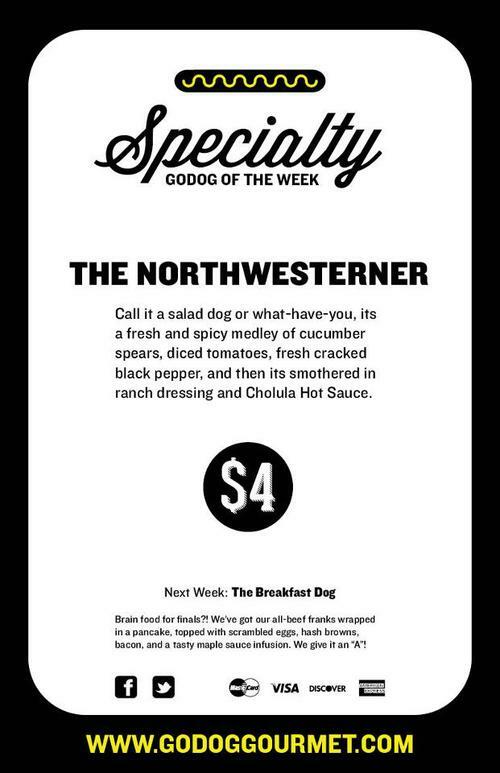 This isn’t your grandpa’s 50’s-style hot dog stand. I developed custom lettering for our logo, the circular motif becoming a theme representing our mobility. 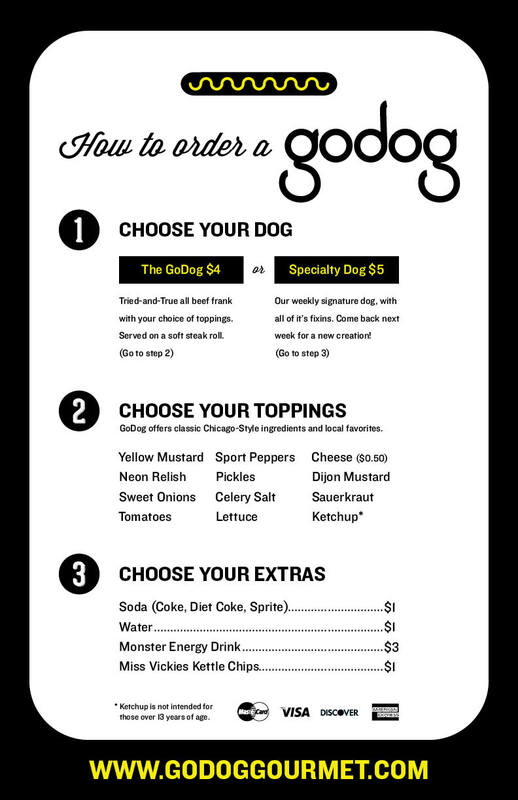 Our distinctive stylized hot dog graphic found it’s way throughout our marketing and into our menu. In order to remain efficient during a lunch rush (or late nights outside college-town bars), our menu took on a sequential structure to guide the customer through the ordering process. After a few seasons of developing a following and gaining success, we decided to sell the cart and dissolve the business in order to pursue our careers after college. But the lessons learned opening a business and building a brand around it are invaluable and have influenced my trajectory as a designer and entrepreneurial spirit.